The Miniatures are from Warrior miniatures Dragon fantasy line. 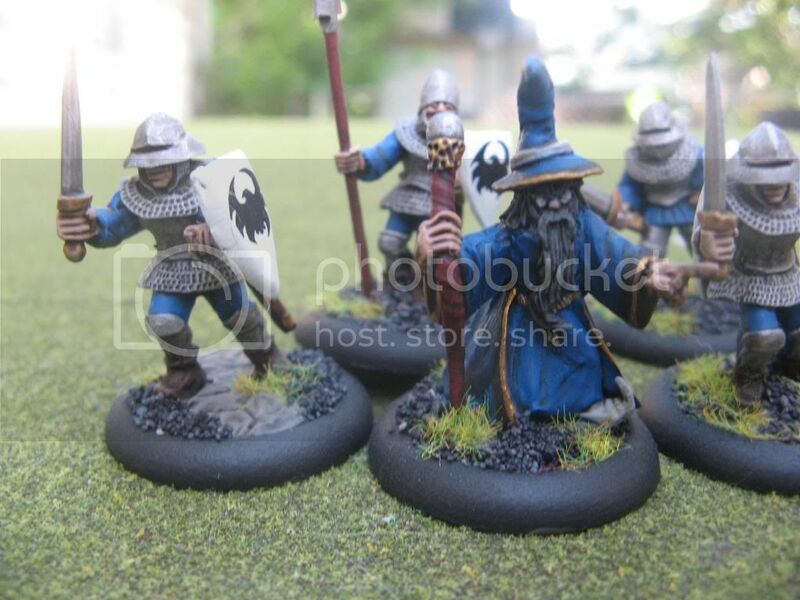 The miniatures are the Citadel Guard and the good wizard. 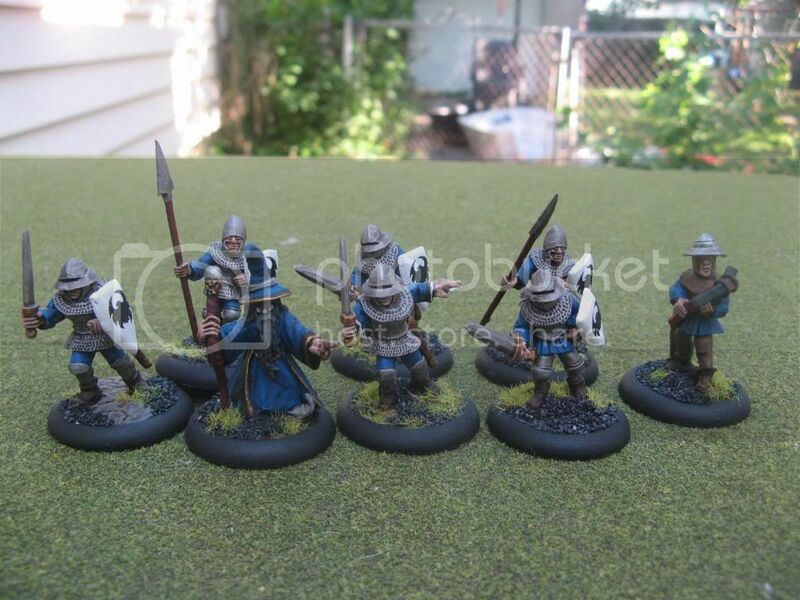 The figures are my Song of Blades warband. The miniatures are done with a quick paint job then brushed on Armypainter dark tone and based. Nice figures – like the wizard, the glasses give him a bit of a heavy metal band guitarist look. 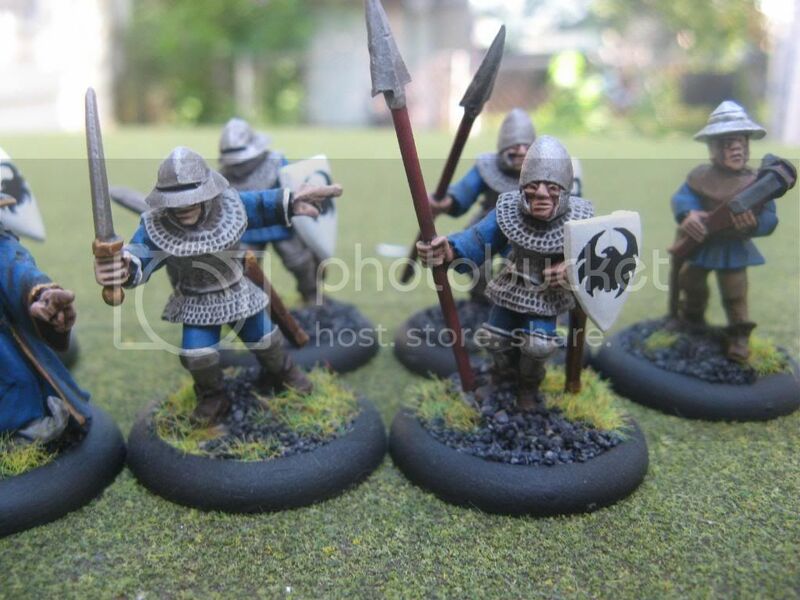 Warrior are pretty good value for money – £1.00 GBP / figure or £0.80 GBP if bought in 10 foot figure squad packs. 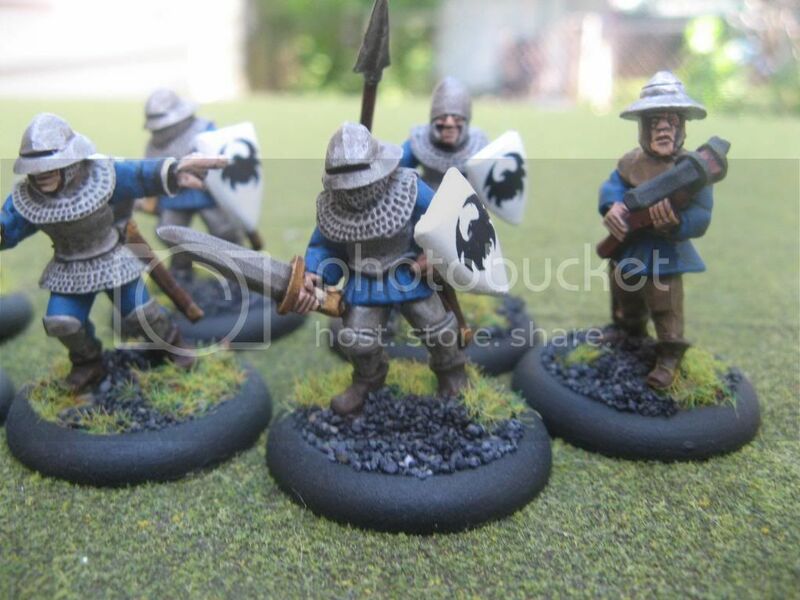 But my Warbands are 15mm!!! simple but clean and clear. As much as I'm impressed by fancy blending and freehand work I'm really favoring simpler styles these days for getting stuff done and onto the field of battle. Nice clean work. Can't to see the Orc's. Thanks guys. They are fun and easy to paint. 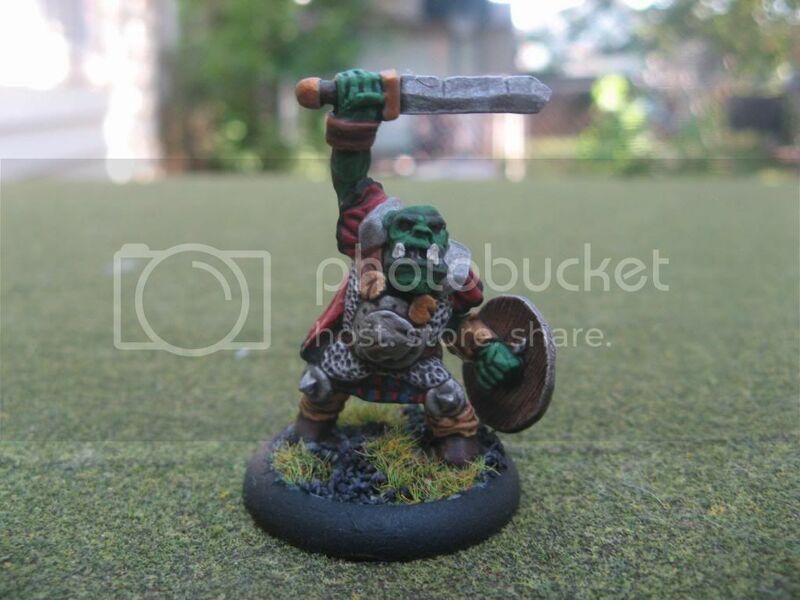 Will also do Dwarves and Elves some day. 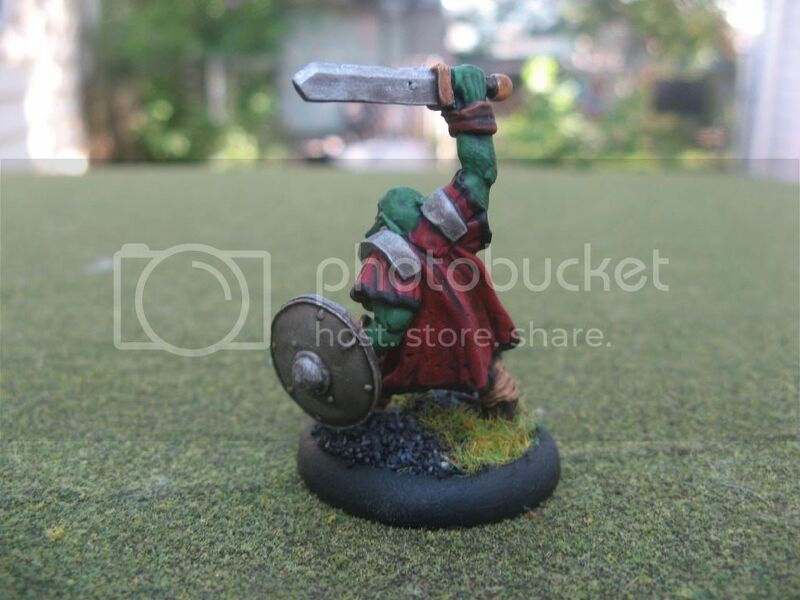 John at Warrior miniatures is a good guy to deal with. Great work, those guys look great with a lick of paint. 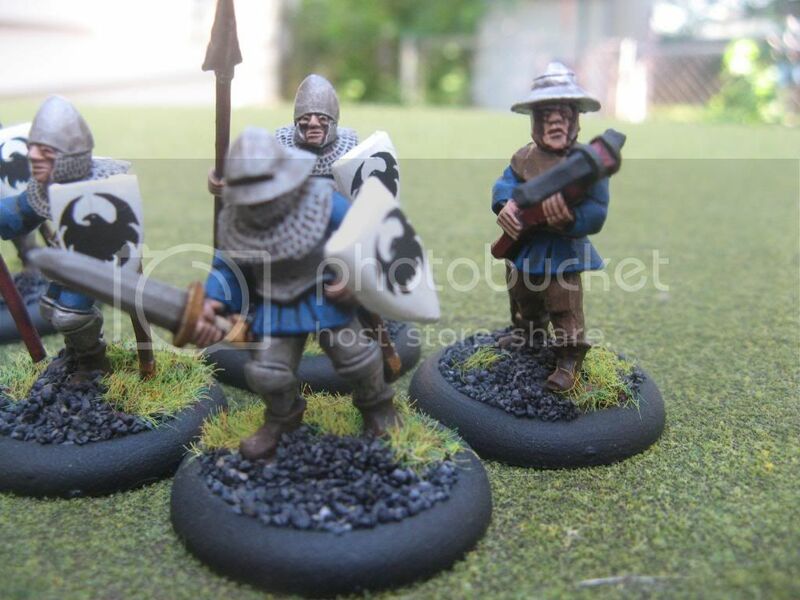 I was considering those human figures today and decided to search TMP for 'Warrior Miniatures' to see what I could find. What a coincidence! That's pretty much sold them for me as I was wondering how they would look as part of my old school Warhammer Empire Army. Spot on, I'd say, and a bargain price!